Bekal is small picturesque town that is located in the northern part of Kerala and is famed for its untouched white-sand beach. Predominantly a Muslim area, therefore it is important that one should keep local sensibilities into their consideration, during their visit to the beach. As a tourist destination, Bekal is extremely popular for its beach and the Bekal fort, which is known as the best preserved beach in Kerala. Located at a distance of 16 km from the Kasargod, it is visited by a decent number of tourists every year from all around the world. Kappil Beach, around 6 km northwards of Bekal, is another attraction that has clean sand and calm seawaters. 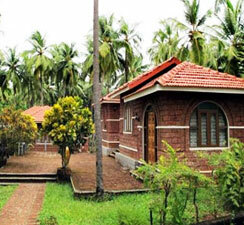 An enchanting town, Bekal is slowly gaining a lot of popularity amidst tourists because of its natural beauty as well. Apart from the fort and the beach, there are other attractions as well. This destination is perfect to enjoy the usual warmth of hospitality and enjoy an unforgettable vacations with your loved ones. Mangalore domestic terminal is the nearest airport, which is located at a distance of around 67 km. after reaching Mangalore airport, hire taxi services to arrive in Bekal (around INR 800). Mangalore airport is connected to Bangalore and Chennai through regular flights. Karipur airport in Kozhikhode is the nearest international airport from Bekal, about 180 km away. Hired taxi to reach Bekal may cost around INR 3,500. The airport at Kochikhode is well-connected to a number of Arab destinations. Kasargod and Kanhagad are the nearest important railway stations from Bekal, which are located at a distance of around 14 km and 16 km away. Once you arrive at either of the railway stations, you can hire a taxi to go to Bekal. The other nearby stations are in Kottikulam and Pallikere but they are stops only for local trains. 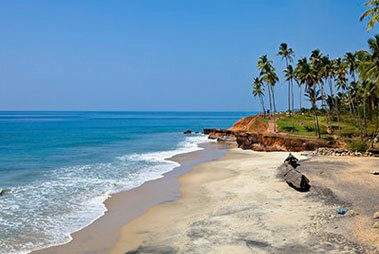 The nearest towns to Bekal are Kanhangad and Kasargod, situated at a distance of around 12 km. regular state-run bus services are available with a ticket cost of around INR 10.